There is currently a boom in tech advances enabling companies to tap the crowd for multiple new types of data and solutions to complex business problems. Whether we're talking about new ways to collect, store and trade personal data, or new tech vehicles for pooling collective intelligence in response to climate change, or creative applications of crowdfunding platforms – there is a lot of valuable knowledge in this field for sustainability, marketing and finance professionals! 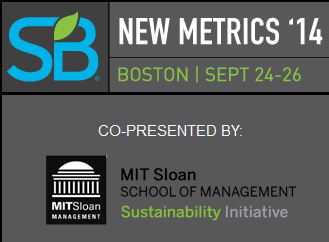 Use the code NWSPKNM14 for 20% off your pass and join us in Boston, Sept. 24-26.